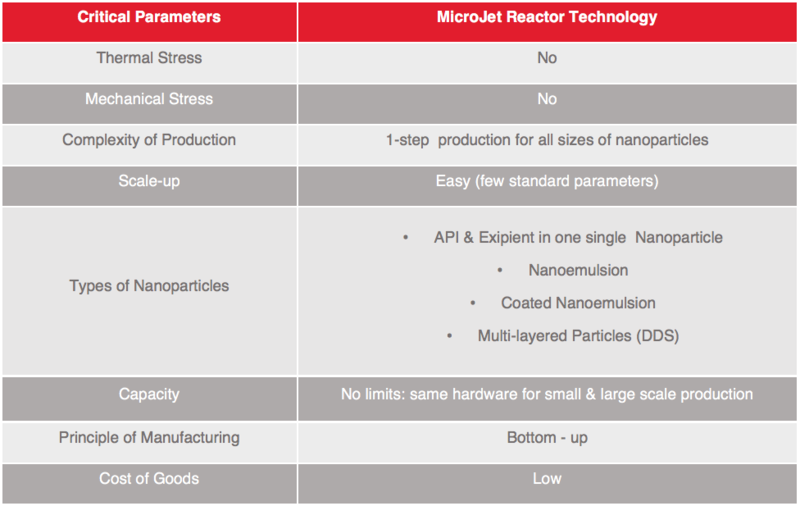 CoreRx Pharma is the only CDMO in the US to offer leon-nanodrugs’ proprietary nanotechnology platform – the MicroJet Reactor (MJR®). Unlike most other nanotechnology platforms, the MJR technology allows for the production of a wide variety of nano particle types (crystalline, amorphous, naked, multi-layered, etc. ), without exposing the API to mechanical stress, high heat, or potentially toxic excipients. The MJR technology allows for the production of nano-particles with a very narrow standard deviation relative to desired particle size, without agglomeration of the production of random, large particles included in the nano-suspension.